After eight months of continuous travel and 33 stops along the way, some destinations are still different enough to make us feel like we’re on vacation. St. Augustine, FL, was one of those places. To Northeasterners like us, palm trees and warm sun in December are enough reasons to admire this coastal Florida town. But its centuries old Spanish architecture is the real draw. Founded in 1565 by Spanish explorers, St. Augustine still retains much of its European aesthetic. The city’s historic center is anchored by famous St. Georges street; a pedestrian thoroughfare lined with interesting architecture from various periods, some dating back to St. Augustine’s sixteenth century origins. The street’s touristy kitsch, while pervasive, is integrated well enough that it doesn’t detract from the experience; at least not overtly. There are no eyesores here. In fact, the area may be too pretty and too well maintained, if such a thing is possible. Because, for some reason, Shannon & I both felt like we were visiting a Disney replica of an old Spanish settlement, like something you’d find at Epcot Center, rather than an actual one. 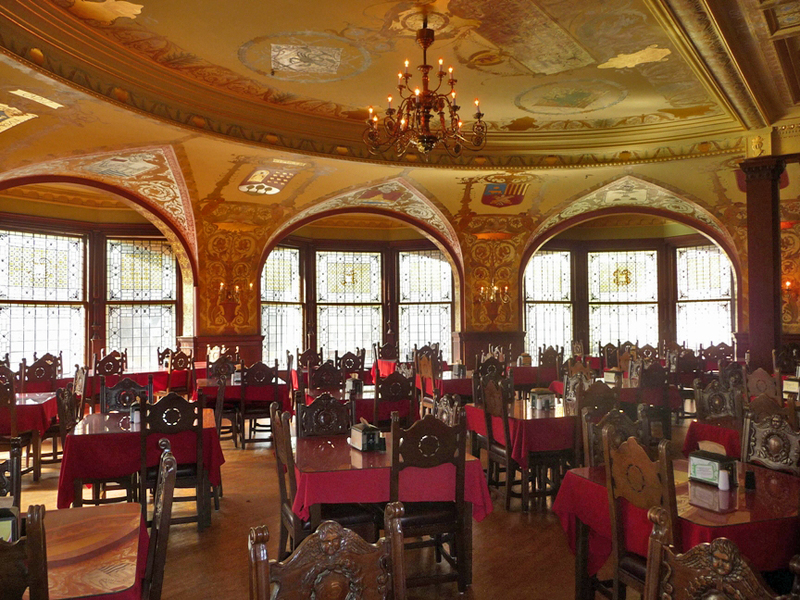 That may partly be because the area’s most impressive Spanish Renaissance buildings weren’t constructed by the Spanish at all; but rather by Standard Oil tycoon Henry Flagler. 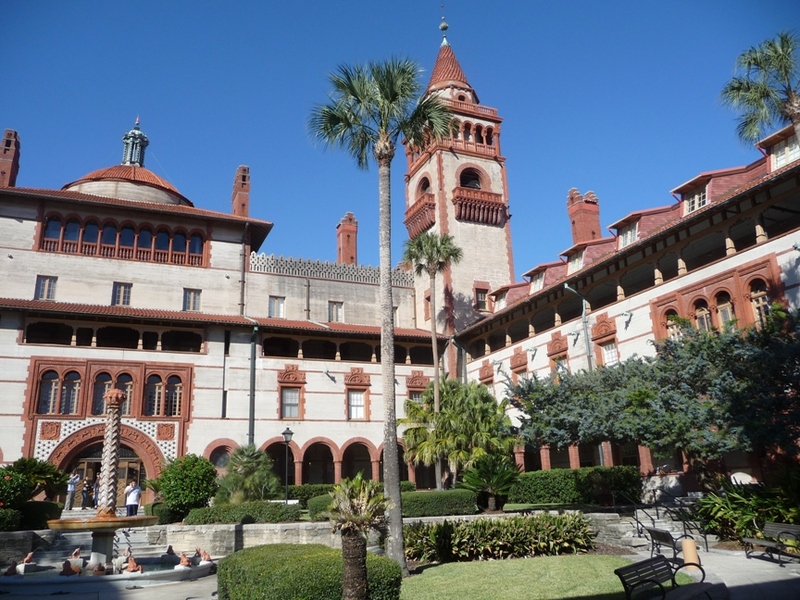 It was Flagler who turned St. Augustine into a winter resort for the wealthy elite in the late 1800’s, constructing several magnificent hotels to accommodate them. Today, those buildings serve other purposes and fortunately are open to visitors. The Ponce de Leon hotel is now a girl’s dormitory for Flagler College, and is quite a contrast to the cinder block tower I lived in as an undergrad. The dining room looks like it belongs at Hogwarts, with its gold leaf stenciling and impressive collection of 79 complete Tiffany stained glass windows. I don’t know what they teach here, or how well, but I can certainly see the appeal of going to school near the Florida beach while living in one of the 18th century’s most exclusive hotels. Why didn’t I know about this place earlier?